The Point at Decatur Crossing (Fuqua’s Phase 1 apartment building) has now taken shape at the corner where Scott Boulevard Baptist used to sit. It is clear that the height is going to take some getting used to for many neighbors. to the right, Fuqua's development as of May 2016. Several months ago, it came to our attention that due to the topography and a planning department oversight, we have ended up with the building elevated and a tall retaining wall at the point at North Decatur and Scott Boulevard. This was not the intention of conditions/agreement we negotiated with Fuqua Development. 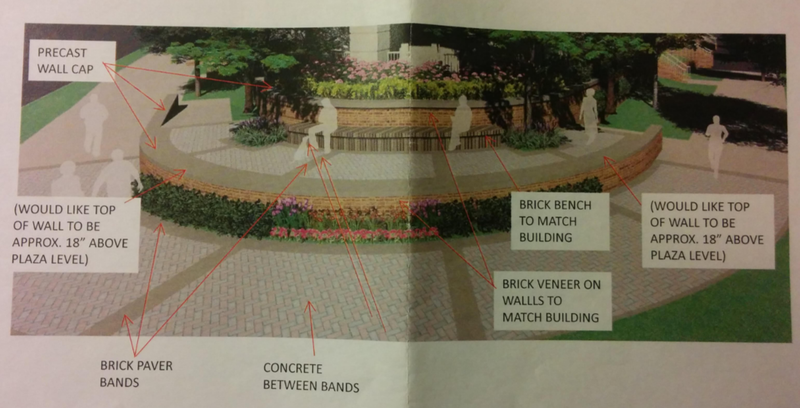 The Dekalb Cross-Neighborhoods Council (DCNC) has worked with Northwood Ravin (developer that purchased this property) and Commissioner Rader to come up with a solution that will stay true to the original intention to create a plaza area at the corner. The wall has been moved back closer to the building to allow a larger pedestrian zone at the Scott Blvd and North Decatur Rd. corner, as negotiated. When there is not a lot of room to work with, every inch counts to keep pedestrians safe. Click to enlarge. 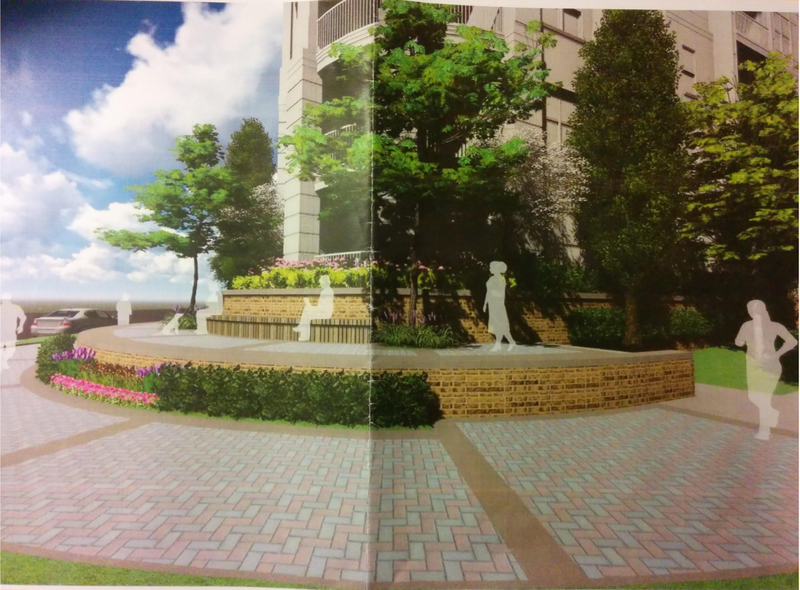 To the left, a rendering of the building as shared by the developer in Fall 2015. To the right, the building as it stands today. The renderings below are what has been agreed upon to remediate and break up the bulk of the tall wall. Click on the images to enlarge them. As a result of this oversight, the DCNC has been very careful in negotiating conditions and agreements on other projects to make sure that the intent is very clear and can not be misinterpreted.